Celebrate fall with this wonderful wreath that combines several "autumn" favorites into one. 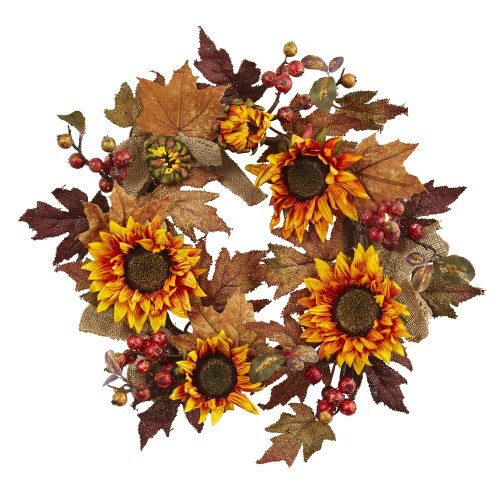 You've got some bold sunflowers perfectly captured at the end of their bloom, faux berries that look good enough to eat, and crisp leaves that look like they were just gathered after the first cool evening. It's an autumn delight that will last for years. Makes a great gift too.